RUSSELLVILLE, Ark. 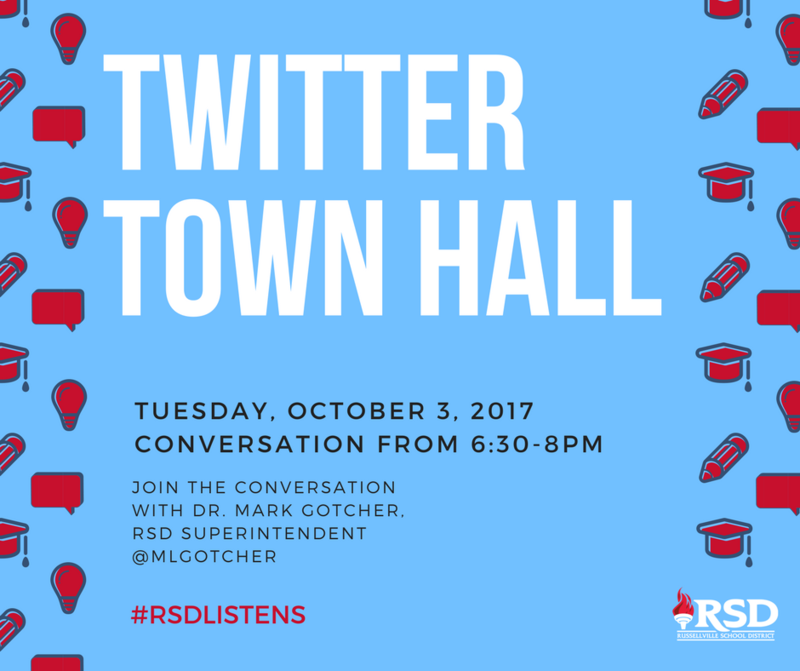 (September 21, 2017) — Russellville School District Superintendent Dr. Mark Gotcher will host a Twitter Town Hall on Tuesday, October 3, 2017, from 6:30-8 p.m. on the social media platform Twitter. During the town hall, participants will have the opportunity to give feedback on three questions: what does RSD need to start doing, what does RSD need to stop doing, and what does RSD need to continue doing. The three questions will be released at different times throughout the evening on Dr. Gotcher’s Twitter account @mlgotcher. Participants are asked to use the hashtag #RSDListens when responding to the questions.